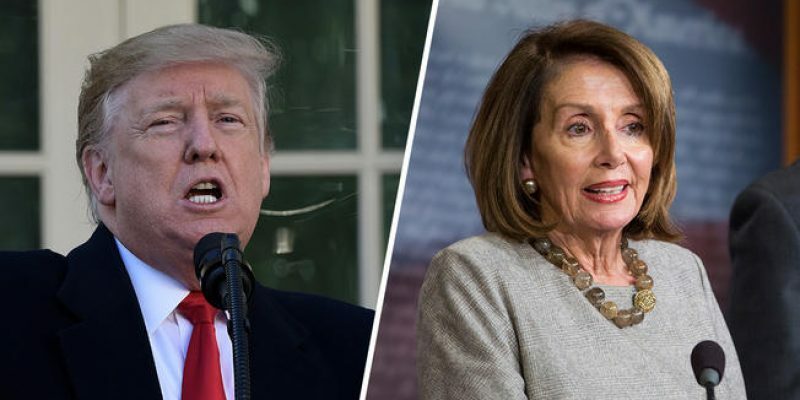 House Speaker Nancy Pelosi is more unpopular than President Trump according to a new poll by NBC/WSJ. During the partial government shutdown, Speaker Pelosi saw a stunning 6% increase of in the number of respondents who hold a “very negative” view of her according to the survey results. However, she also gained 4% of those who hold a “very positive” view of her. Overall, the Democrat leader trails Trump with a 19-point gap between her positives negatives to his 12-percent gap. While neither of the American leaders should be enthused with these numbers, it does provide some insight on who may have fared better in the court of public opinion during the shutdown. President Trump’s approval rating remains steady around 40% with some polling showing a slight loss during the shutdown. The biggest takeaway is that the data does not show the President losing much support while it does show that something is not going right for Democrats. With nearly a dozen Democrats announcing 2020 presidential campaigns, President Trump is taking victory laps on tax cuts, jobs, economic growth, and foreign policy. “45” is not yet giving up on wall funding with another showdown expected after the State of the Union Address later this week. Trump’s best showing of “positive” responses was February 2017 at 43% while his worst was 35% in April 2018. The best showing of “positive” responses since 2000 for the major parties is 57%, held by the GOP in 2001. The best for Democrats was 50% in 2000. The worst showing of “positive” responses since 2000 for each party was 2013 at 22% (GOP) and 2006 at 32% (DEM). The largest ideology selection was a tie between “moderate” at 36% and “conservative” or “very conservative” at 36%. Only 23% said “liberal” or “very liberal”. The survey participants appear to be 21% Democrat, 20% Independent and 18% Republican.